Mold is a generic name for over 100,000 different kinds of fungus. Essentially, molds are living organisms that make up a large portion of the fungi kingdom. Molds make spores instead of seeds which float in the air like pollen. Spores are regenerative cells surrounded by a very tough coating that can survive detergents, chemicals, bleach and extreme temperatures. Mold spores are microscopic in size, typically requiring 600X magnification to identify. It is has been said that 250,000 mold spores can fit on the head of a pin. 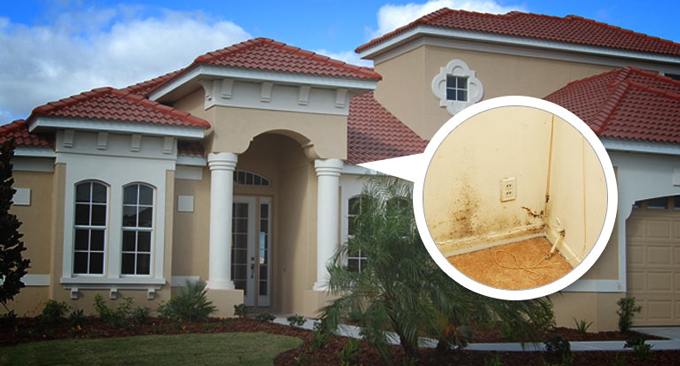 A visible patch of mold the size of a quarter can represent billions of spores. Molds reproduce by releasing spores. When mold spores settle on a surface they can grow and spread rapidly, giving off a variety of odors and exhibiting hundreds of different colors and textures. Absolutely! Eventually, mold destroys whatever it grows on. It can ruin furnishings, destroy cabinets and cause serious damage to the structural elements in your property. It can trigger asthma attacks in people with asthma and give asthma to people who don’t have it. Asthma kills 5,000 people every year in the U.S. alone and most of them are children. Of course you should be concerned about mold. The best time to respond to mold is before it gets to do it’s worst damage. Eliminating leaks and moisture can slow the spread of mold, but a professional inspection by a qualified specialist and testing in accordance with industry standard protocols is the only way to properly identify the problem and create an appropriate action plan. At Peace of Mind Home Inspections, our Home Inspectors are devoted to Full-time inspecting, when not inspecting, we are continuing our education.